In need of an organized home office? Read on for our tips on how to design the perfect office for your home! It doesn’t matter if your office is for running a business, or simply paying bills, everyone should have a space where they can get work done in comfort. An office should be a space where you want to spend time, so it should be organized, comfortable, and reflect your personal style. Check out our tips on how to design an organized home office! You’ll be spending a lot of time sitting in your office chair, so invest in a high-quality one. A comfortable seat is worth every penny! Choose a wall color that you love, and one that makes you feel relaxed and at ease. Don’t go for drab colors, but choose one that brightens up the room – and you! Some people love bright green, others feel relaxed with sea foam. Choose a color that suits you best and keeps your office looking as professional as possible. You may also want to consider personalizing your home with vinyl lettering and wall decals for a temporary look that’s budget friendly and cute! Since many offices tend to be on the smaller side, organization is key to getting the most out of your space. Hang shelves onto the walls to get rid of unnecessary clutter on your desk, and use vertical file folders to keep important papers in one place. Also be sure to label where everything goes, with printed labels like those from labelcity.com, inc.
Make sure your office has plenty of light to keep headaches and eye strain at bay. Turn your computer monitor away from direct light to avoid a glare, and place a lamp on your desk to brighten it up. Liven up your space with cute accessories like trendy notepads, or a colorful bulletin board. 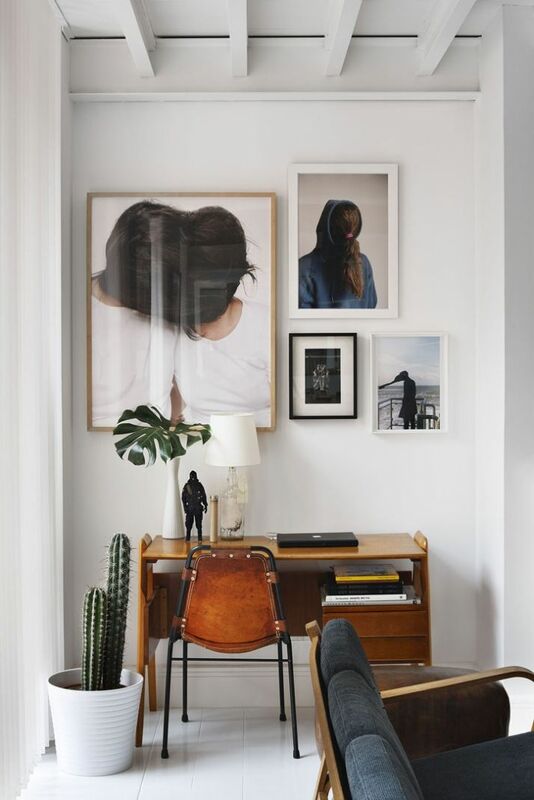 Hang up paintings or prints on your walls that inspire you. 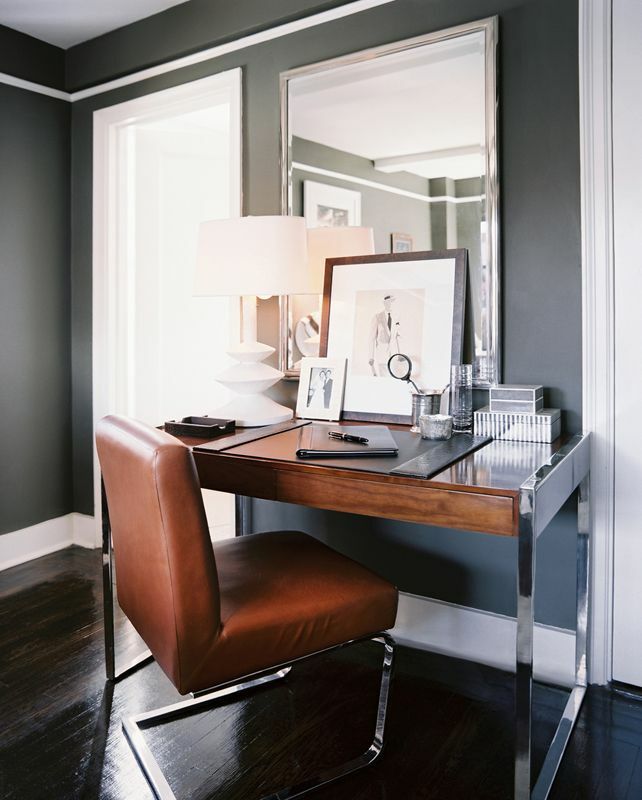 When choosing a space for your home office, decide what kind of environment suits you best. Do you prefer a quiet area, or a high-traffic one? If you will have clients stopping by, choose a private and quiet area. Looking for more ways to decorate your office? Check out our tips on how to design an organized home office and save on furniture with this overstock coupon code! Photos: Lonny Mag, Decor Pad, Birch and Bird, House to Home, Yatzer, Daily Icon.